Putting unknown parts in your vehicle is like trusting a stranger. Insist on Nissan Genuine Parts. Nissan is committed to providing parts and accessories that are designed and developed specifically for your vehicle. By fitting Nissan Genuine Parts and Accessories you can rest easy knowing our high-quality standards ensure the perfect fit, increased safety and reliability, allowing you to future-proof your Nissan. Your Nissan vehicle is an important investment so don’t compromise on safety or reliability – insist on Nissan Genuine Parts and Accessories. Nissan Genuine Parts and Accessories have undergone thousands of hours of rigorous testing to meet the highest standards of quality and performance, as your safety is our priority. Nissan Genuine Parts and Accessories are made to perfectly fit your vehicle, ensuring it runs at its optimum level and is ready for any adventure. Only Nissan Genuine Parts and Accessories keep your vehicle complete, just like the day you bought it, maintaining its resale value. Why should you insist on Nissan Genuine Parts? Nissan Genuine Parts are designed, tested and manufactured to the same exacting standards as the parts on all new Nissan Vehicles. Only Nissan Genuine Parts fit your Nissan perfectly and provide optimum performance, durability, reliability and safety. Nissan engines come with exact factory settings to optimise fuel efficiency and maintain low level exhaust emission settings. They are also covered by a Nissan’s 12 month/20,000km National Warranty*. Improved safety, reliability and complete compatibility. Genuine confidence and 100% peace of mind. Each component is brand new. You won’t find recycled, second hand or remanufactured item, or any other part with dubious origins. 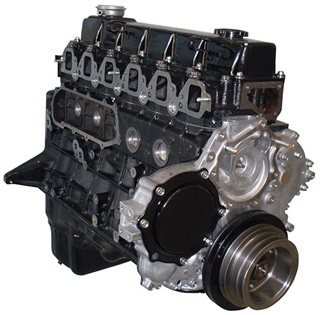 Your engine will stay in optimum performance longer. Nissan engines are built at the Nissan factory by Nissan trained technicians. 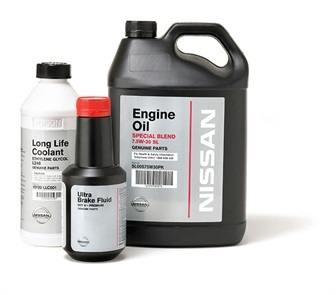 With Nissan Genuine Oils and Fluid you simply get superior performance and protection. Nissan’s Long Life Coolant is engineered to a special formula to ensure that your Nissan performs at its best in both hot and cold weather. Whether your Nissan is powered by a petrol or diesel engine, we have engine oil specifically developed and tested for your vehicle. Nissan Genuine Accessories are also designed and manufactured to give you excellent fit, reliability and performance. From protection or convenience, to personalisation, safety or technology- a wide range of Nissan Genuine Accessories are available to customise your Nissan and to suit your personal lifestyle. For more information refer to the Nissan Genuine Accessories page. *Our goods come with guarantees that cannot be excluded under the Australian Consumer Law. You are entitled to a replacement or refund for a major failure and compensation for any other reasonably foreseeable loss or damage. You are also entitled to have the goods repaired or replaced if goods fail to be of acceptable quality and the failure does not amount to a major failure.